Good masking is the key to clean, professional paint lines. 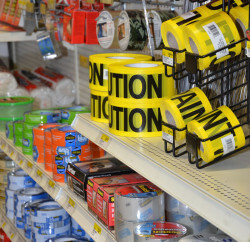 ScotchBlue™ Painter’s Tapes are specially designed for optimum performance when used correctly. For an extra edge, look for tapes with Advanced Edge-Lock™ Paint Line Protector. This advanced technology helps keep paint out and produces super sharp lines for brilliant looks and unlimited ways to transform your space.